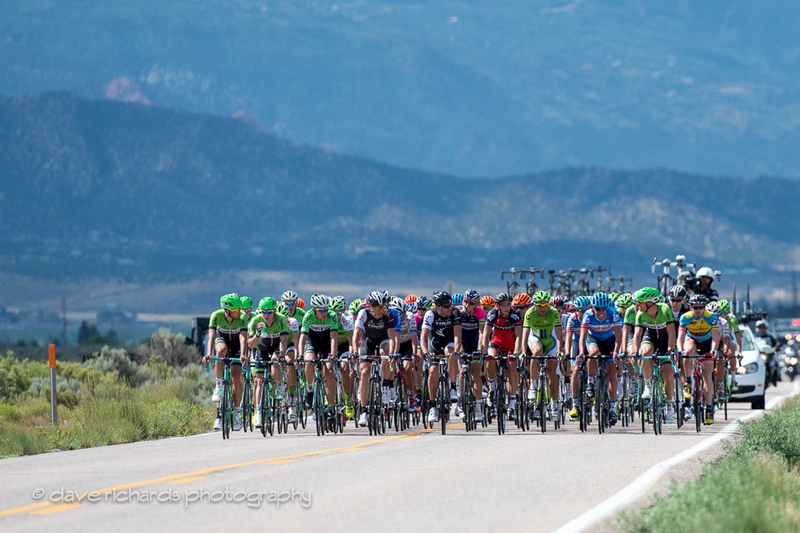 By Jared Eborn CEDAR CITY – The 10th edition of the Larry H. Miller Tour of Utah rolled out in Southern Utah with arguably its most talented and star-laden field ever. And after 113.5 miles, it was Belkin-Pro Cycling’s Moreno Hofland who sprinted to victory and into the yellow jersey. In front of a fast-charging peloton, Hofland (Netherland) followed a well-executed leadout train to outkick Team Smartstop’s Jure Kocjan (Slovenia) and Team Lampre-Merida’s Andrea Palini (Italy) for the Stage 1 win. Stage 1 opened up with a five man breakaway that was animated early on by Hincapie Sportswear Development’s Robin Carpenter who captured the first intermediate sprint and held off his fellow break partners for both King of the Mountain lines. For his efforts, Carpenter will wear the Ski Utah King of the Mountain jersey during Stage 2. After cresting the Bristlecone summit east of Cedar City, the peloton chased down the break and caught them shortly after reaching town and crowd favorites Jens Voigt and Ivan Basso launching solo attacks to through scares into the field. In the end, however, it was a day for the sprinters as teams lined up their leadout trains and cranked up the speed. Hofland celebrated his victory and slipped into a UCI stage race leaders jersey for the first time in his professional career. Utah Riders Tanner and Chris Putt both finished with the peloton. Tanner Putt is currently second in the best young rider competition. Robin Carpenter (Hincapie) is in the Ski Utah King of the Mountains Jersey after winning both the Cat 1 and Cat 4 climbs today. Moreno Hofland is in the Larry H. Miller Dealerships leader's jersey as well as the Utah Sports Commission Sprint Jersey. BMC is in the lead in the team competition. Stage 2 presented by iON Camera will begin at 10:15 a.m. on Tuesday, August 5. This 130.7-mile stage features amazing views and rugged challenges along Scenic Byway 12 from Panguitch to Torrey. 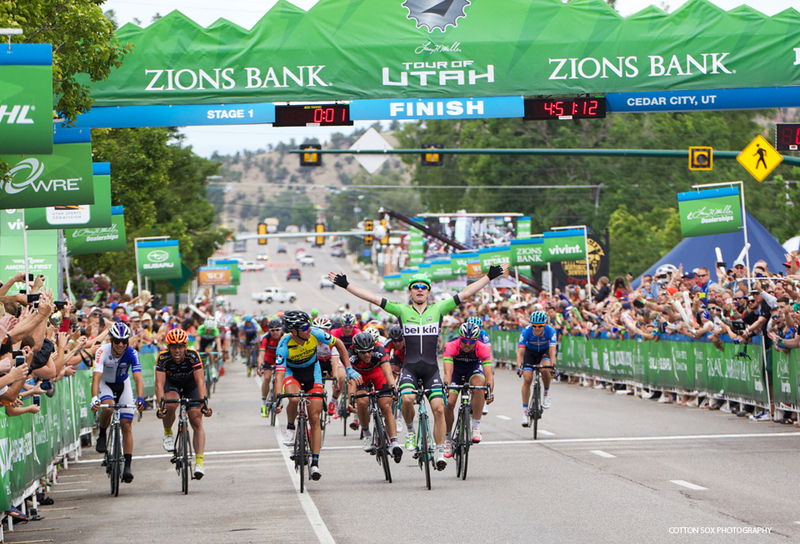 One Response to "2014 Tour of Utah Stage 1: Hofland Takes Sprint Win and Leader’s Jersey – Results, Report, and Photos"